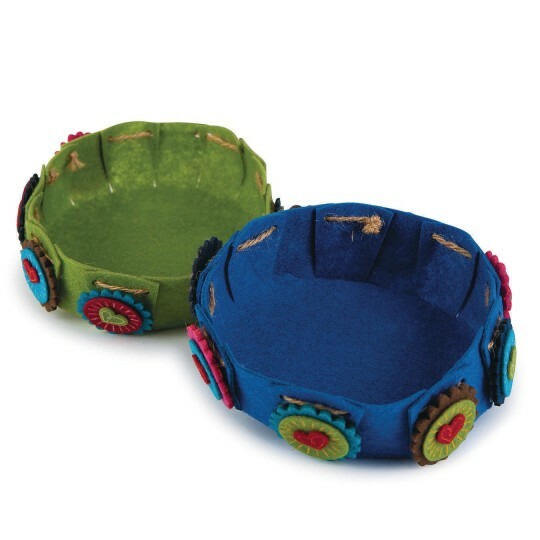 Create your own baskets for a variety of purposes! 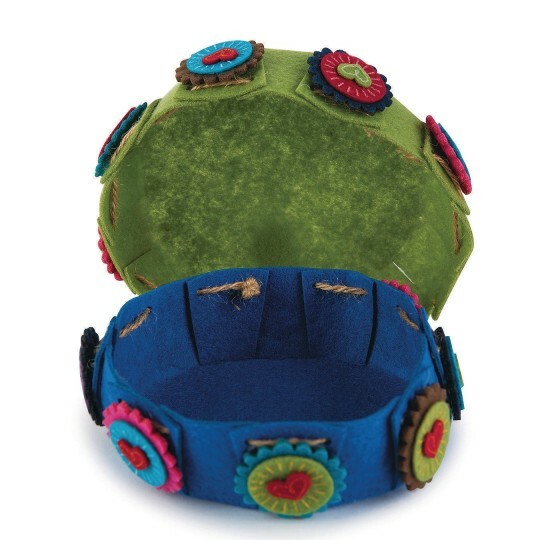 Makes 6 green and 6 blue felt baskets. 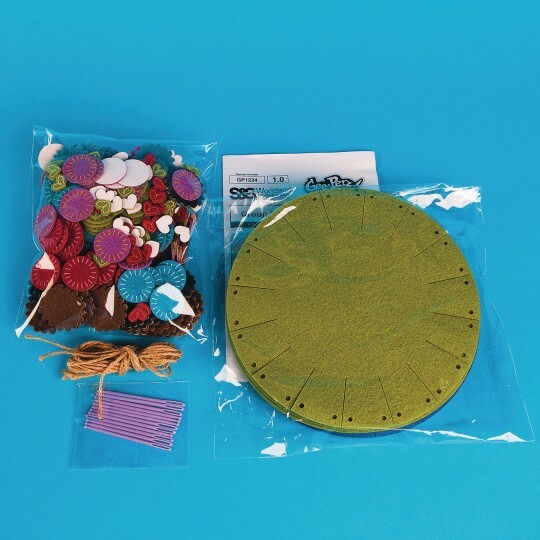 Uses large plastic needles to weave jute through the holes to shape the basket. Self adhesive felt stickers included for decoration. No glue project. Finished basket measures approx. 5-1/2" dia. Holds lightweight small items.